Which is the Best Wallet to Store Bitcoin? A wallet is nothing but a software program or an application that is used for the storage of bitcoins. It simply facilitates secure bitcoin storage and hence it is collectively called as a ‘Bitcoin wallet’. It offers the protection of private keys necessary for storing the bitcoins. The first bitcoin application which was discovered with mobile phone usage is the bitcon wallet, which is a highly secure application. In this post we are going to discuss different types of bitcoin wallets. Bitcoin is a type of crypto-currency that is made available in the form of digital or electronic currency. It is mainly used for business purposes as a payment processor. It uses the peer to peer transaction methodology and also offers very low processing charges. A bitcoin wallet is required for the exchange of bitcoin payments. It specifies that each and every bitcoin payment can be sent or received only with the help of bitcoin wallets. So the users have to create, download or buy a bitcoin wallet to make bitcoin payments. Addition of all the bitcoin addresses (public addresses). Selecting a wallet is very simple. But while selecting a wallet, we have to ensure that whether the invested bitcoin will be kept in a safe and secure manner. Also, we need to ensure that the selected wallet must be compatible with our Android device, iPhone, and hard drives. Web / online wallets: These are nothing but applications or websites that are responsible for the management of private keys. They allow access through any device on the web with the help of an internet connection. The transactions performed in these wallets are faster and easier. Their less-secure nature permits easy stealing of bitcoins by hackers. ‘Blockchain.info’, ‘GreenAddress’, ‘Bitgo’ and ‘Coinbase.com’ are some of the examples of online wallets. Blockchain.info: It is a most-renowned site for checking and performing bitcoin transactions. It offers multi-country and cross-platform support and also offers an easy usage. In addition, it is also used as mobile or desktop application. GreenAddress: It offers the facility of balance checking with the help of its watch-only mode. Bitgo: It is a leading option for the security of blockchains. It is highly useful for business transactions and the time taken for the completion of a transaction is about 30 to 60 mins. Also 3 to 6 confirmations are required for proceeding the transactions. Desktop wallets: These are nothing but a kind of applications that are installed on the user’s system or desktop computer. They permit the user to perform bitcoin transactions on the desktop itself. They provide a greater level of security for bitcoin storage. ‘Bitcoin core’, ‘Armory’, ‘Multibit’ and ‘Electrum.org’ are some of the examples of desktop wallets. Bitcoin core: This type of desktop wallets offer a secure bitcoin storage by controlling all the keys including both private and public keys. This application also holds the bitcoin transaction details so that it needs a large space of approximately 65GB. It is the first discovered wallet among the desktop wallets. Atomic Wallet is a new multi-asset custody-free wallet for secure storage and management of BTC, ETH, XLM, XRP, LTC and over 300 other coins and tokens. The crypto assets and features are regularly updated. Private keys are securely encrypted on a user’s device, so one has full control over their funds. The desktop app is available for Windows, MacOS, Ubuntu, Debian and Fedora. Private alpha versions of Android and IOS mobile apps will be released in November, 2018. 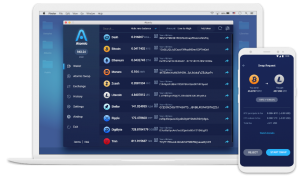 Atomic Wallet is a secure all-in-one, non-custodial cryptocurrency storage with a smooth and comprehensive interface. The wallet supports Atomic Swaps, a cutting-edge feature that helps users significantly save on fees. Atomic wallet also enables users to buy cryptocurrency with USD and EUR and exchange their assets at the best rates via Changelly or ShapeShift. Armory: It stores the private keys in a system with offline mode. This wallet is an open-source wallet with multi-signature support as well as the cold storage options. Multibit: This type of wallet is usually light-weight in nature by covering only a limited space of around 30MB. An USB device known as keepkey is always used along with it. For a bitcoin transaction to be done on this wallet, the keepkey needs a manual transaction confirmation. Hardware wallets: These are nothing but tiny devices, which are responsible for the safety of private keys necessary for accessing bitcoins. These are a type of physical wallets for storing bitcoins and are recommended for the storage of a considerable amount of bitcoins. These are portable wallets with user-friendly nature. They control bitcoins with the help of plug and play options. ‘Trezor’, ‘Keepkey’ and ‘Ledger’ are some of the examples of hardware wallets. 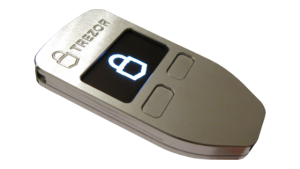 Trezor: It offers security and simple usage and it is small in nature. Keepkey: It hold the pin-protected private keys, which are responsible for security. Ledger: It is available at a high cost but is small in nature. Mobile wallets: These are similar to desktop wallets and are normally used in smart phones. It is recommended only for the storage of a limited number of bitcoins since it is a less-secure option compared to other wallets. 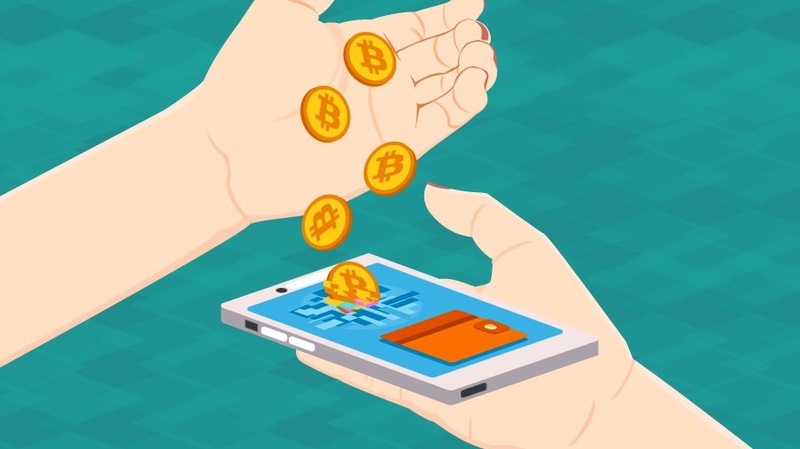 ‘Mycelium’, ‘Xapo’, ‘Wirex’ and ‘Bread wallet’ are some of the examples of mobile wallets. Mycelium: It is well-known as a highly recommended and secured option for mobile bitcoin storage. Xapo: It is also a secure option for bitcoin storage with multi-sig technology and cold storage options. Wirex: It offers an easy usage facility when compared to other types of wallets. It permits the users to activate 2FA or ‘2-factor authentication’ with multi-signature support. 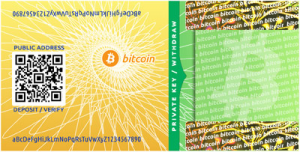 Paper wallets: These are fashioned wallets, where the bitcoins are stored on papers. They hold the bitcoins in an offline mode so that they are highly safe. They provide control over the private keys used. They cannot be recovered as hardware wallets. There is a chance for the loss of bitcoins due to the fade or destruction of papers. ‘BitAddress’ and ‘ BitcoinPaperWallet’ are some of the examples of paper wallets.